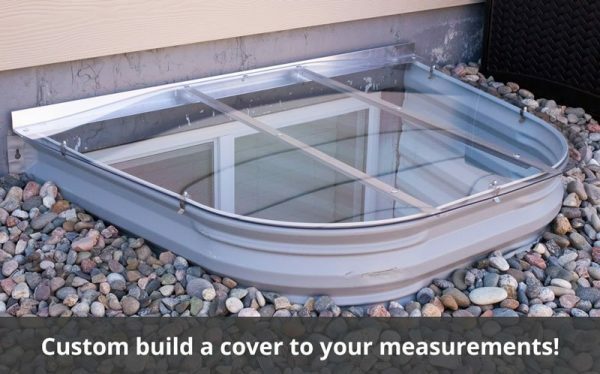 Enter the measurements of your metal window well. 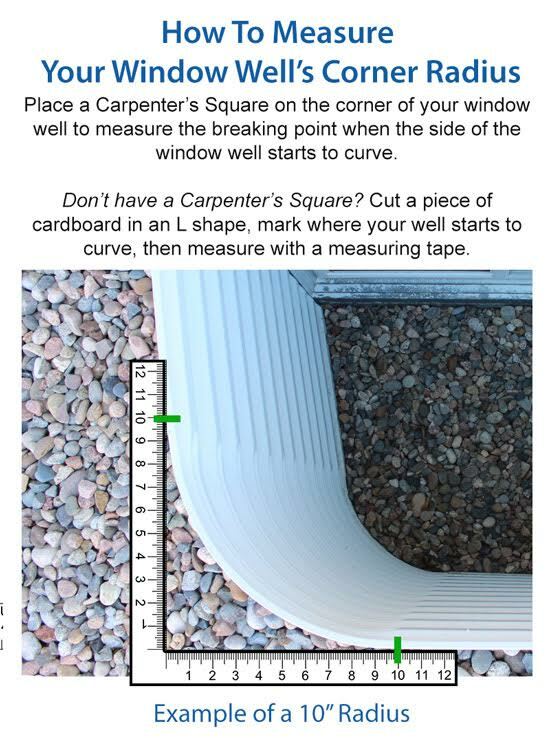 Measure to the outside edge to the closest 1/2 inch. 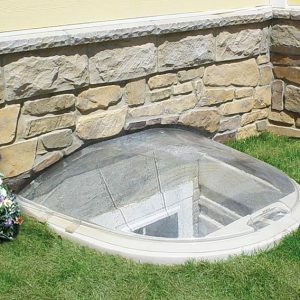 If you have a window well that is not metal or an irregular shape, a custom quote is required due to the various amounts of available sizes, shapes, and brackets needed for installation. 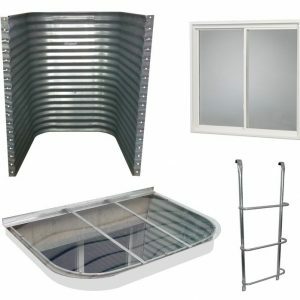 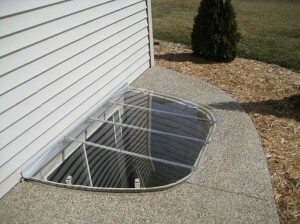 Custom made to fit ANY shape, size, and style of window well! 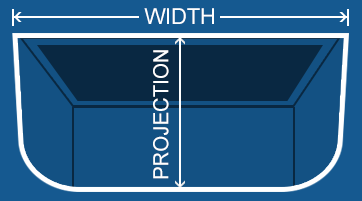 Measure your well’s width, projection and radius. 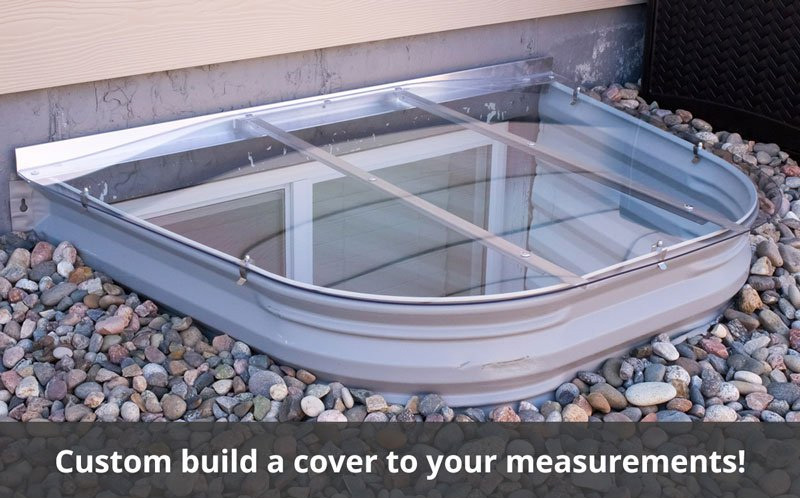 Using our easy online tool, enter your measurements and order your cover. 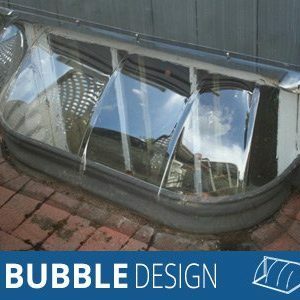 We’ll email you a 2D & 3D render of your cover before manufacturing. 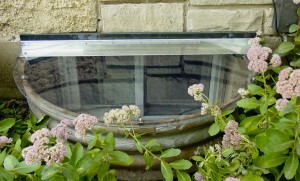 Upon approval, we’ll custom make your cover and ship it directly to you. 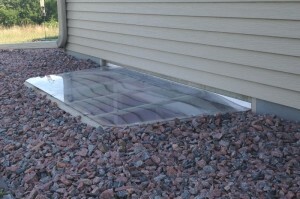 Installation is a breeze and can be done under 30 minutes depending on the size. 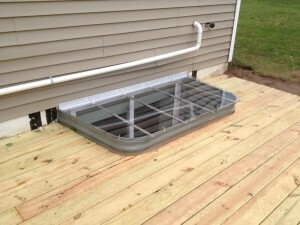 It requires only a 1/4″ drill bit, a drill, and a screw driver. 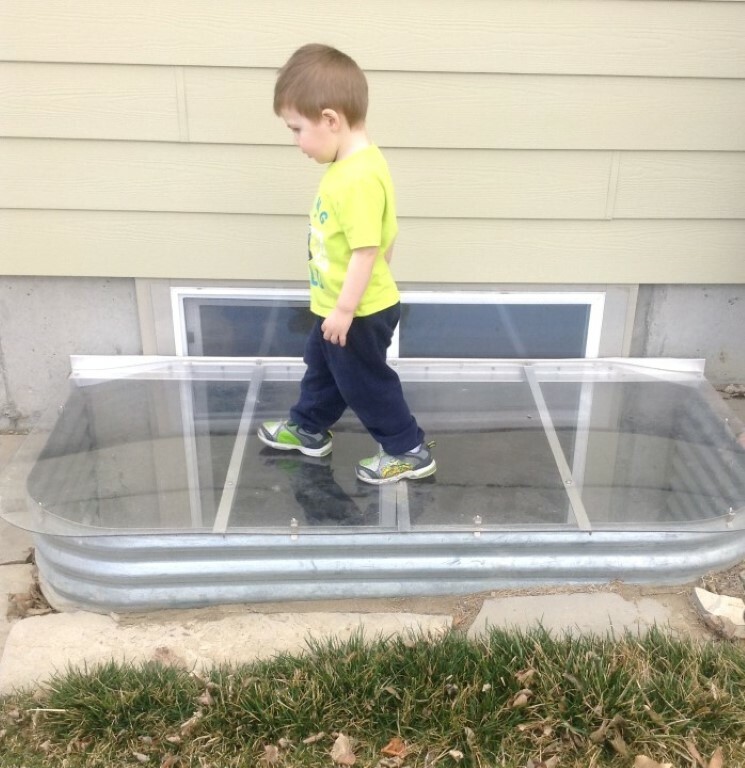 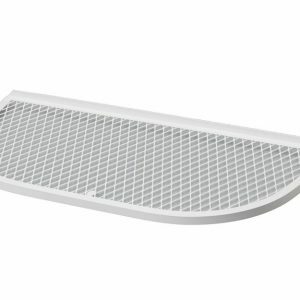 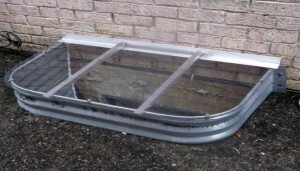 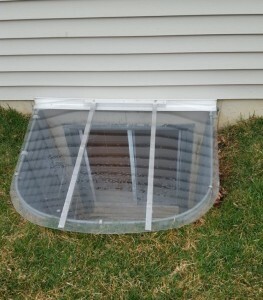 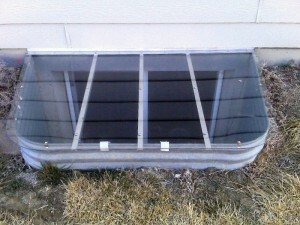 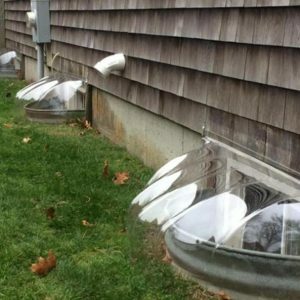 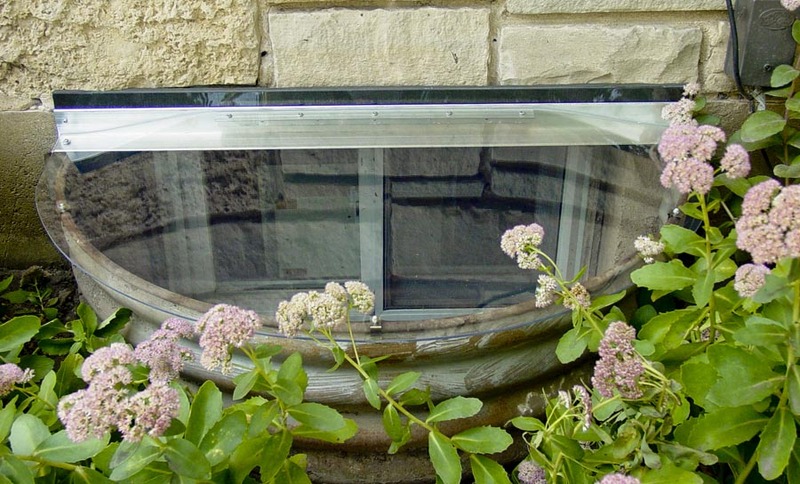 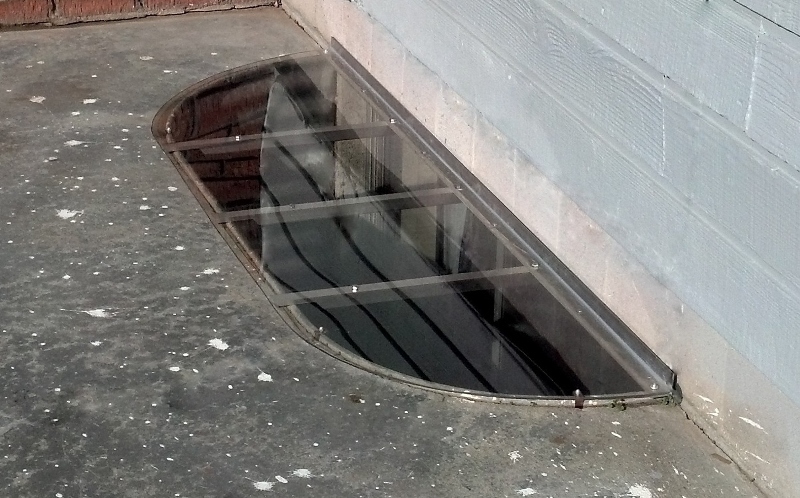 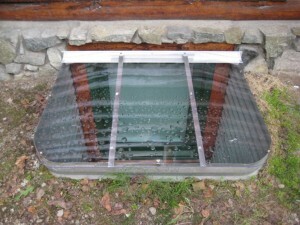 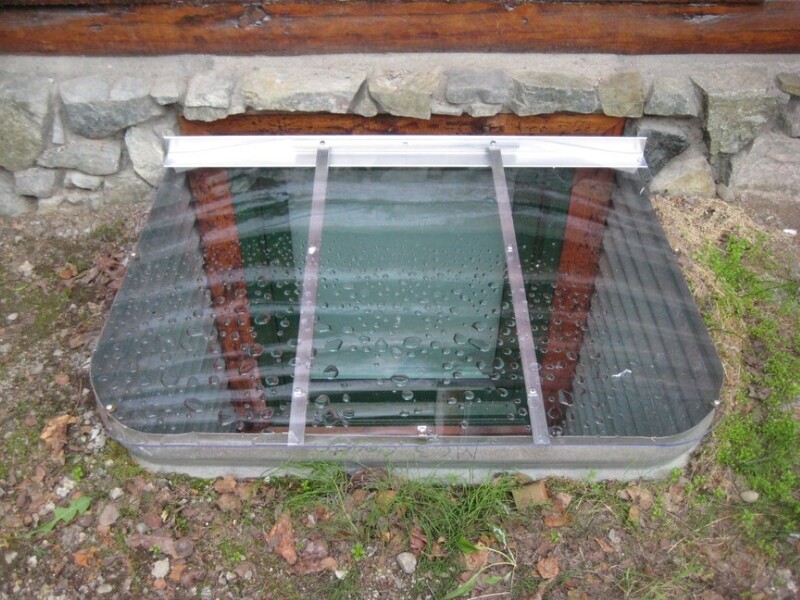 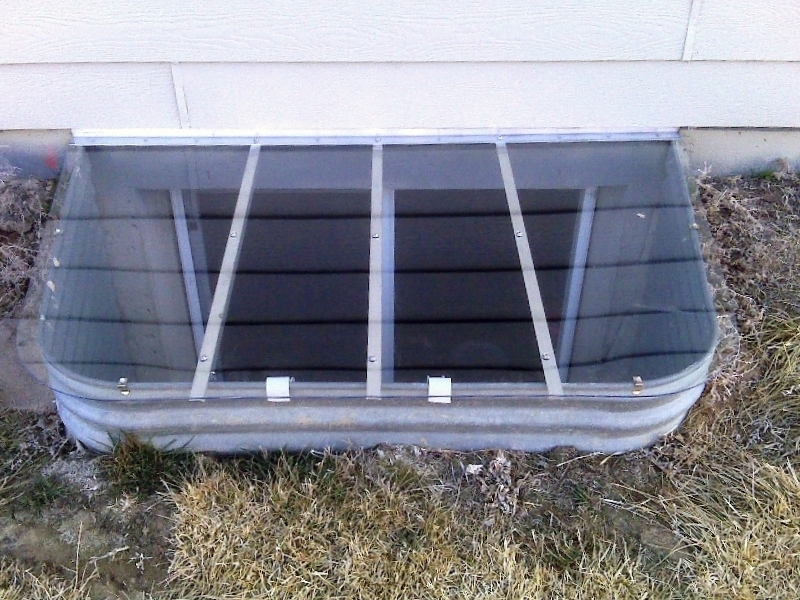 Our custom window well covers are UV treated to prevent fading and are made of crystal-clear Polycarbonate to let in a ton of light into your basement. 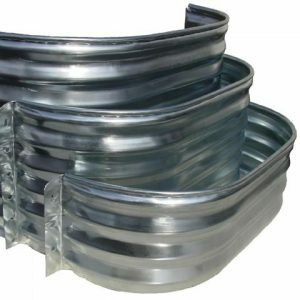 Polycarbonate looks and feels like glass, but has the extreme durability and high impact resistance of high-density thermoplastic. 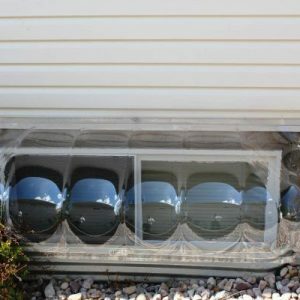 The big-box-store’s covers use cheap Acrylic plastic, which is slightly blue, fades over time, and easily breaks. 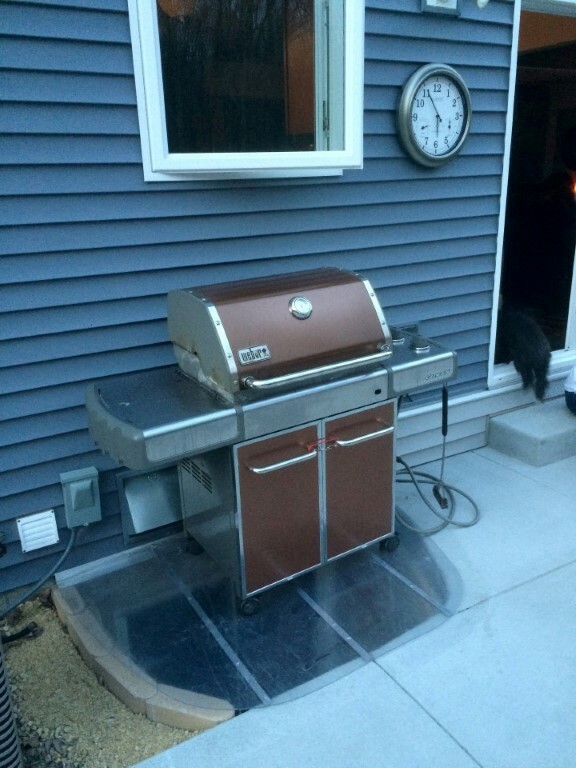 Our cover’s rust-free aluminum frame helps the cover support up to 400 pounds. 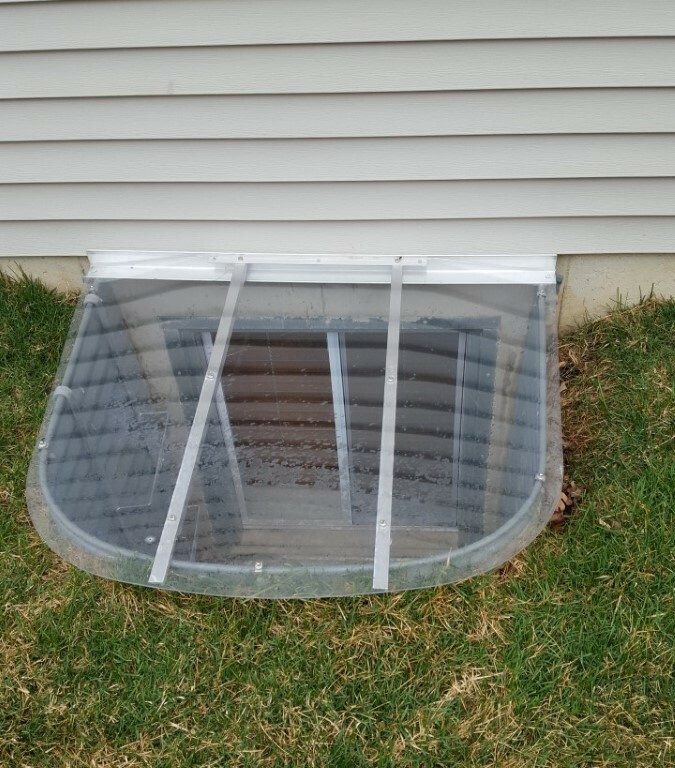 Your cover will be manufactured to overlap the rim of your window well by at least .5″ to keep the majority of the precipitation out of your well. 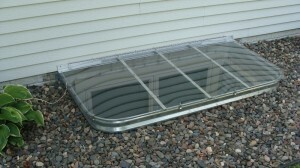 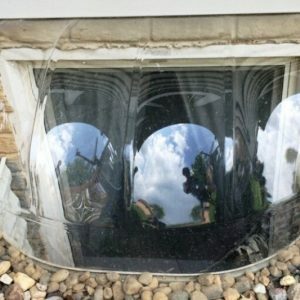 These covers are designed for metal window wells only. 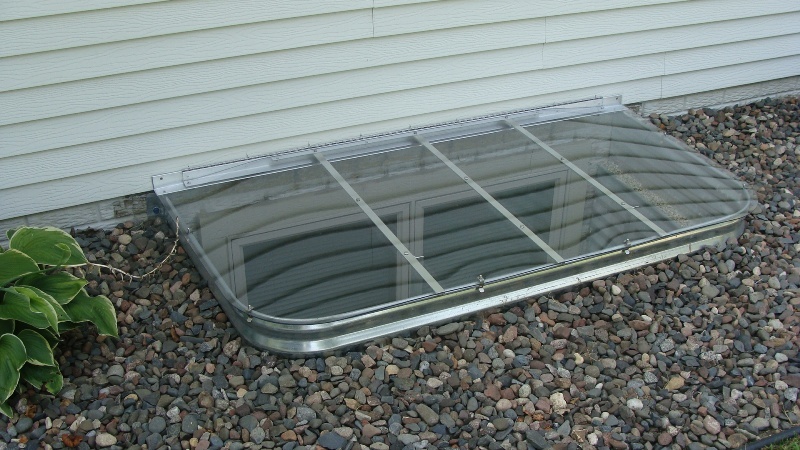 Mounting clips are screwed onto your cover and clip to the lip of your metal window well. 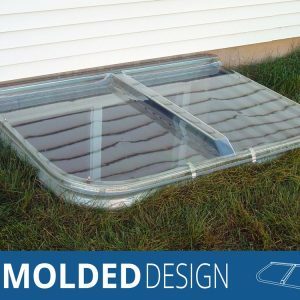 Return Policy on Custom Covers: Please note, since this product is custom and made to your measurements, there are no returns unless there is a manufacturing defect or damage in transit. 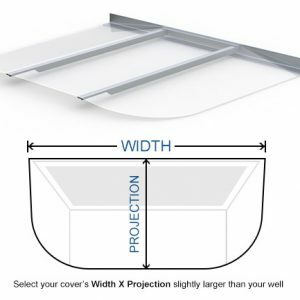 Before manufacturing the cover, we will confirm your order with a CAD drawing of the dimensions through email.